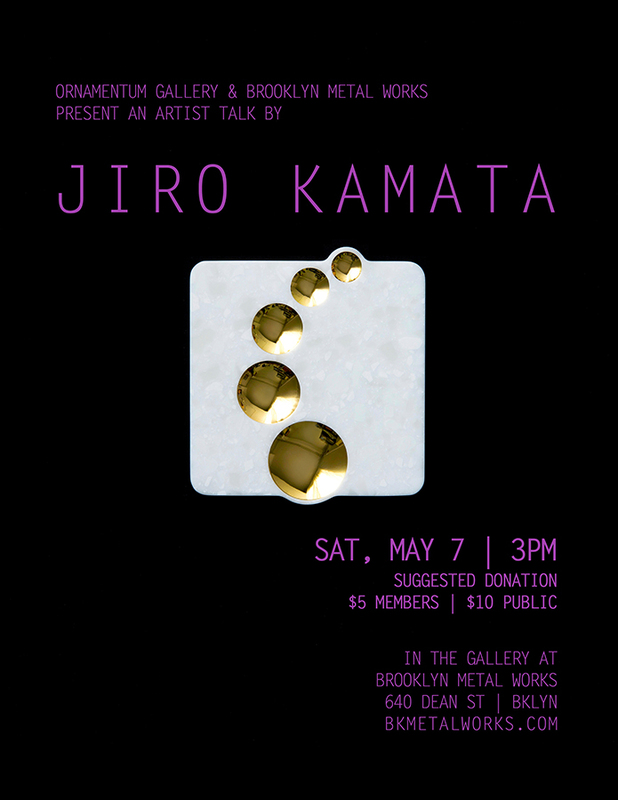 Please join us Saturday May 7th at 3pm for an artist talk with Jiro Kamata. Known for creating jewelry utilizing lenses from cameras as the focal point, Kamata’s newest work continues to investigate optical effects with mirrored surfaces and a colorful play of light with geometry. Born in Hirosaki, Japan, Jiro Kamata currently lives and works in Munich, Germany. For 9 years Jiro was the Artistic Assistant at Academy of Fine Arts Munich, Department of Jewellery and continues to exhibit his work and lecture internationally. Represented by Ornamentum Gallery, Jiro will be visiting the US in support of “Flare” his featured exhibition with Ornamentum at the upcoming Collective Design Fair, on view May 3-8 in New York City. The exhibition will continue at Ornamentum Gallery in Hudson, NY May 10-31.